Did anyone see this great DIY project in Sunset magazine this month? Even though I live on the East Coast, Sunset is one of my favorite monthly subscriptions. It's always full of great design tips and fun travel ideas. 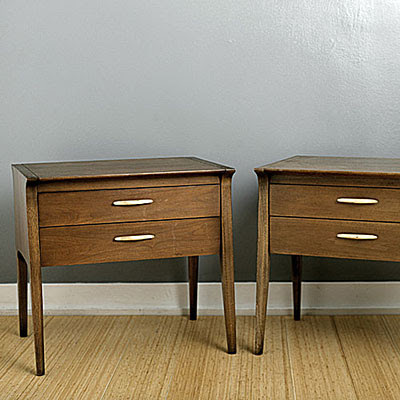 I love this project, they completely re-invented these drab night stands.